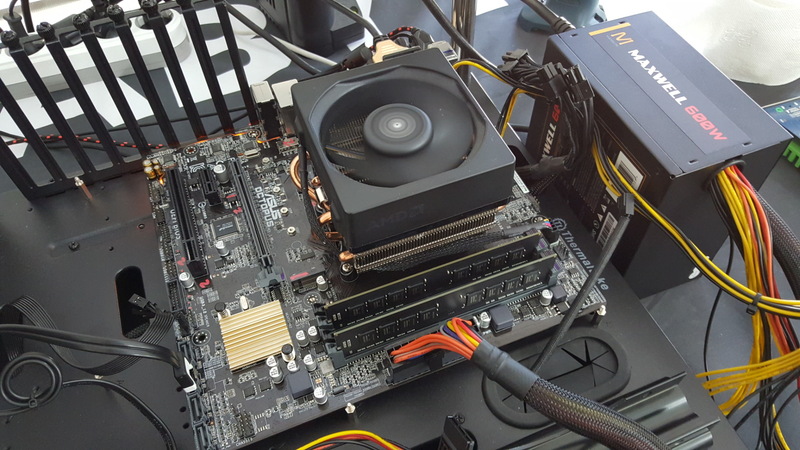 AMD’s recently launched Bristol Ridge APUs have been overclocked to the extreme on air cooling. Overclocker Nam Dae Won (NameGT) was responsible for the achievement, pushing the A12-9800 to its limit on an AM4 platform. The chip which is part of the newly released Bristol Ridge family was just launched a few weeks back and available through OEMs. We had covered the details for Bristol Ridge APUs extensively inside a previous post. Another post, showing the very first benchmarks of the chip was posted yesterday. The Bristol Ridge lineup shows big gains in efficiency improvement along with the added bonus of updated CPU and GPU cores. This leads it to deliver better performance to consumers looking at the budget bracket. The chip used was a regular A12-9800 APU pulled off an OEM machine and attached to a DIY motherboard. We have seen a couple of AM4 motherboards, mostly based on the B350 chipset. These include boards from Gigabyte and ASUS. The new one is ASUS’s Octopus. 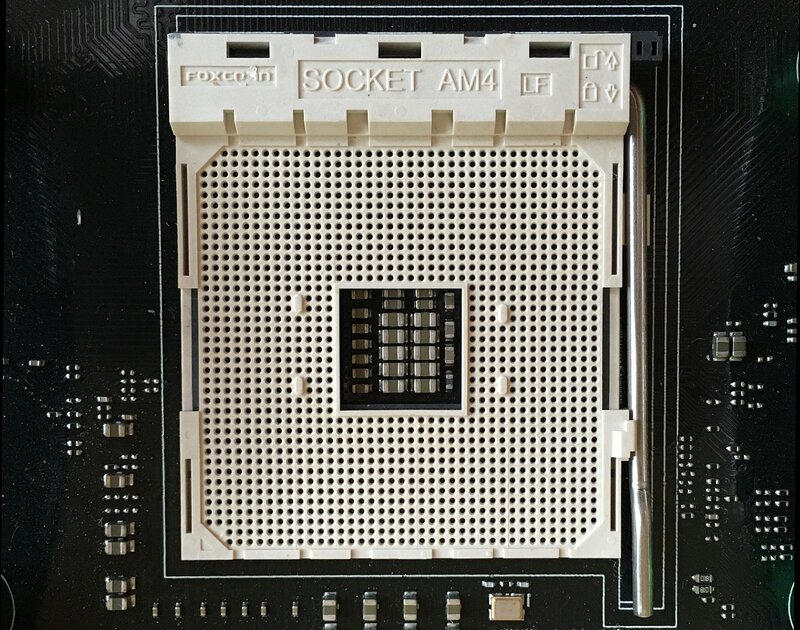 We don’t know why this board is called Octopus but it does feature the AM4 socket and the B350 chipset. Another surprising fact is that this motherboard is built for the DIY market and isn’t finished yet in terms of design. So it’s just an early look at what kind of overclockability some really good value AM4 motherboards would offer to users. 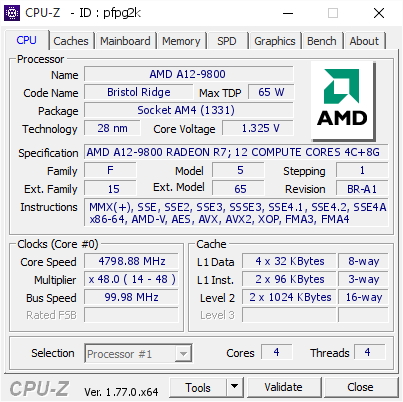 An overclock of 4.8 GHz is achieved on AM4 platform with the latest Bristol Ridge APU. Some things we can spot on the motherboard include a single PCI-e Gen 3.0 x16 slot, a single PCI-e Gen 3.0 x1 and a single PCI (Legacy) slot. There’s also a M.2 slot which is a first for AMD boards that can run it off the PCH rather than relying on a external controller. There are four SATA III 6 GB/s ports and two DDR4 DIMM slots. We didn’t get a good sight at the I/O panel so we will leave that out for now. The DIMM slots were filled with 16 Gigs of DDR4 clocked at 2133 MHz. The chip was clocked to a maximum overclock of 4.8 GHz, a cool 27% increase in clock speed. Chip voltage was configured at 1.325V. At this overclock, the chip managed to score 4608 points in HWBot Prime benchmark. The great thing about this testing is that it was performed on air. 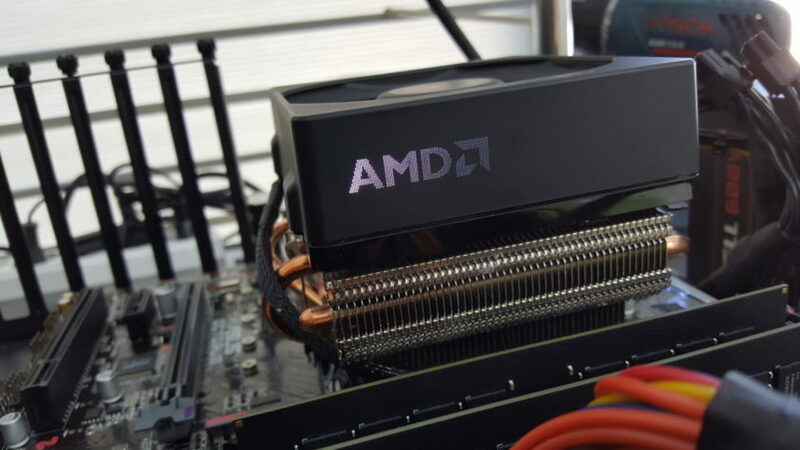 The AMD in-house built, Wraith cooler, was used for cooling. The cooler has set a great foundation for AMD reference coolers that will be compatible with the AM4 socket. You can check out the validation link for the overclock here.